Creating multi-page documents and content websites for a range of academies and primary schools. We’ve just received delivery of the seven sixth form prospectuses we designed for the Greenwood Dale Foundation Trust, and we’re pretty happy. They’ve kept us very busy over the last two months – organising course content, directing the on-site photoshoot, and creating an engaging but clear design for each Academy. We create websites and prospectuses for the six academies and eleven primary schools in the Greenwood Dale Foundation Trust. With more than 500 pages of course content and imagery, delivering them all at the same time is a tough job, but we've never missed a deadline. 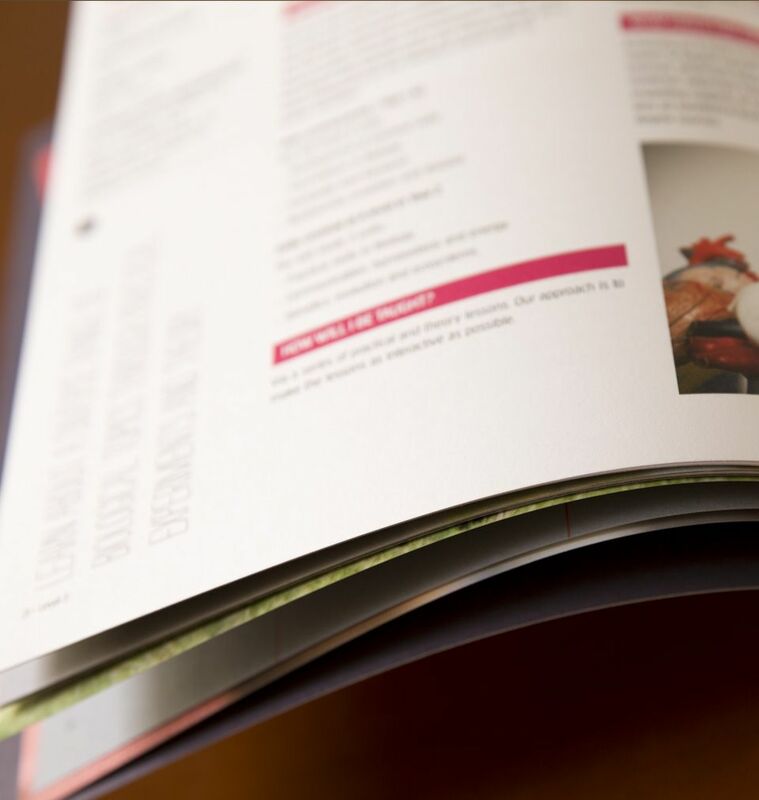 Our long history of prospectus and print design means we've also been able to help Greenwood manage their production schedule and streamline their print runs to cut costs. We’ve been working with Greenwood Dale for four years, with increasing numbers of prospectuses each time.